I was very excited when the lovely Merry was asking for bloggers to join in her #craftysummer, and if you follow me on Instagram you will have no doubt seen what I've been up to. I was sent some Hama beads alongside some other goodies which I will tell you about another time. 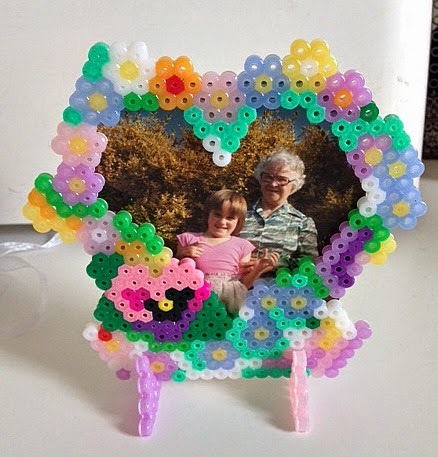 I was first introduced to Hama 8 years ago when visiting my nieces in Luxembourg. They had made quite simple pieces and I couldn't quite grasp the concept of putting bits of plastic onto a board and ironing it. It did look good for graph reading, colour sorting, counting and fine motor skills, but I didn't care much for the finished product. 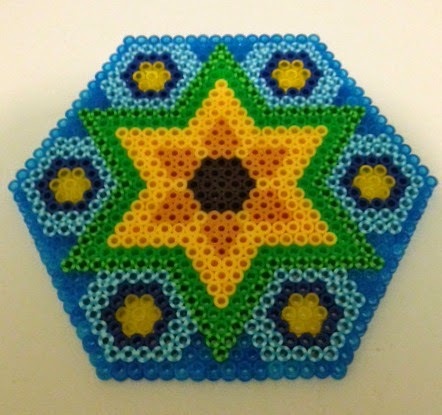 When I started following Merry's lovely blog A Patch of Puddles I noticed her posting about her crafts and I started looking at Hama beads. Last Christmas I had my first attempt making presents for my best friend. I have just done up my craft room and wanted to make some things to brighten it up. I found the birdcage and mermaid on Pinterest and adapted them. 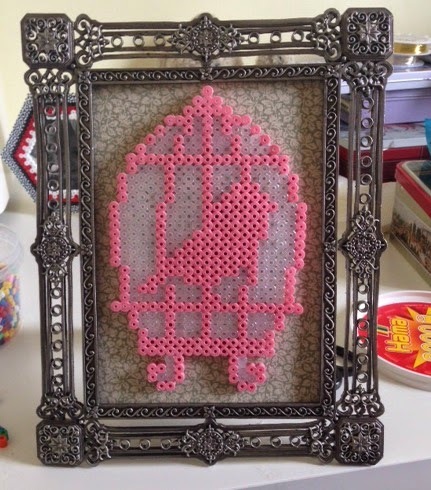 The birdcage is mounted on some left over fabric and placed in a frame that had been broken. The mermaid is just waiting for a frame to turn up. The frames I created from scratch, I love them both but think my pansy needs more work. 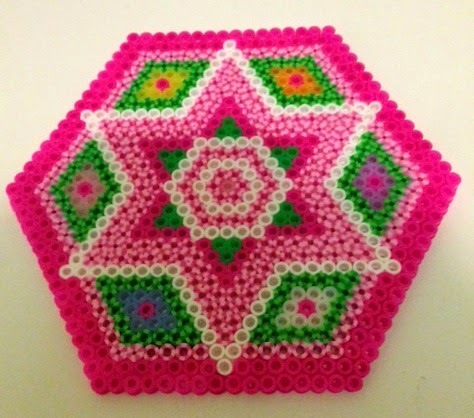 Hama is a fabulous craft for grown ups, it's inexpensive, mistakes are easy to put right, and it's fun. A word on the stripey beads. These are Perler, a different brand, which I picked up in my local craft shop. 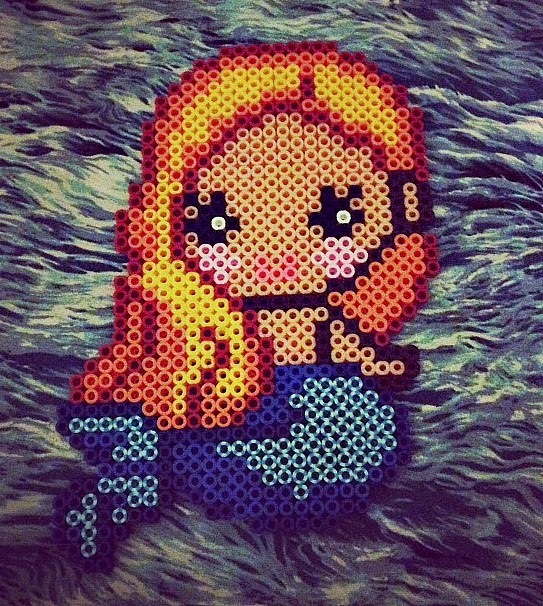 I wouldn't buy Perler again. I love the look of them but they are a pain. The Hama melt effortlessly whereas the Perler require a lot more ironing, which I learnt the hard way by having them all off them having to quickly replace them whilst still hot to prevent them setting and never fitting again. 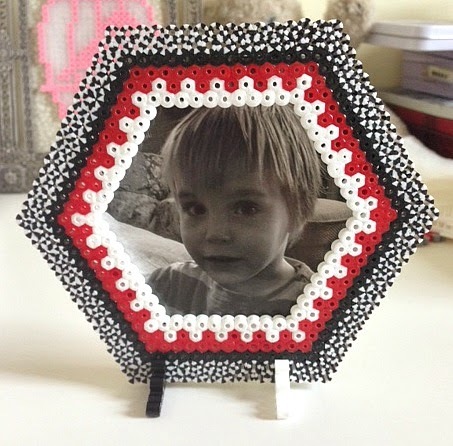 I can highly recommend Hama at Craft Merrily and have just placed a good sized order so no doubt will be instagramming again soon!